All of the whispers have been right: Solstad is a vital novelist. T Singer begins with thirty-four-year-old Singer graduating from library school and traveling by train from Oslo to the small town of Notodden, located in the mountainous Telemark region of Norway. There he plans to begin a deliberately anonymous life as a librarian. But Singer unexpectedly falls in love with the ceramicist Merete Saethre, who has a young daughter from a previous relationship. After a few years together, the couple is on the verge of separating, when a car accident prompts a dramatic change in Singer’s life. The narrator of the novel specifically states that this is not a happy story, yet, as in all of Dag Solstad’s works, the prose is marked by an unforgettable combination of humor and darkness. Overall, T Singer marks a departure more explicitly existential than any of Solstad’s previous works. Solstad’s inventive approach allows him to reflect on the freedom and obligations of the novelist who is tasked with telling someone else’s life story. It also inscribes, in the novel’s very form, Solstad’s way of writing about people who are not quite the protagonists of their own lives…What if a life—even an apparently consequential one, like an ambassador’s—had no discernible narrative, no coherent main action? Actual lives look nothing much like conventional novels. That is the challenge Solstad accepts and rigorously joins. Full of dryly comic, densely existential despair. A story at once traditional and postmodern. 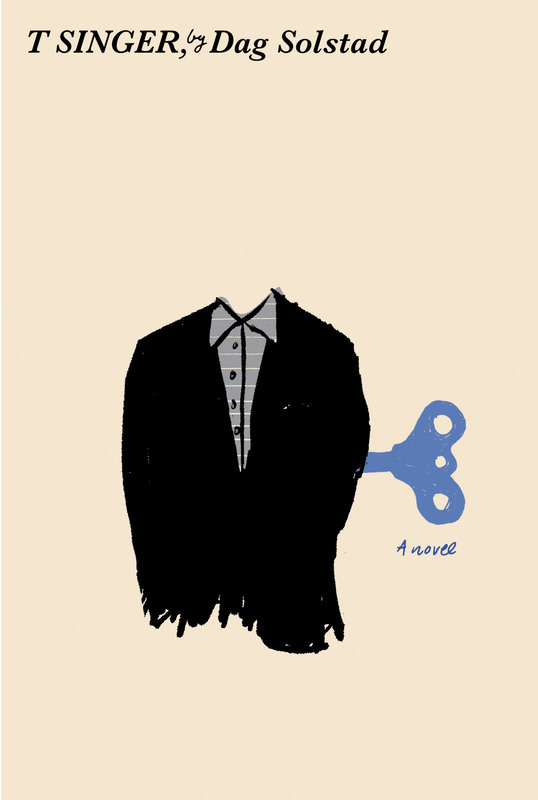 Solstad’s unusual, entertaining novel of restrained humor follows its protagonist, T Singer, over a lifetime of nonengagement….The novel brilliantly shows the humor and pain of obsessiveness, and the anxious, analytic Singer emerges as an enduring creation. With the simultaneous publication of the novel Armand V, Solstad should finally get the attention he deserves in the U.S…The novel follows Singer from his early twenties to his late forties, and this life, which hardly seems to belong to the man living it, proceeds like a jaunty, unforgettable tune played in a minor key. Solstad has a revered role in Norway as the chronicler of his country’s changing times. T Singer goes far beyond the typical, Camus-like portrait of existential alienation that clings to every corner of global literature like the odor of cigarette smoke in a supposedly clean hotel room. Solstad creates a truly singular character whose existence feels like nothing more than the sum of indentations left on him by the world.